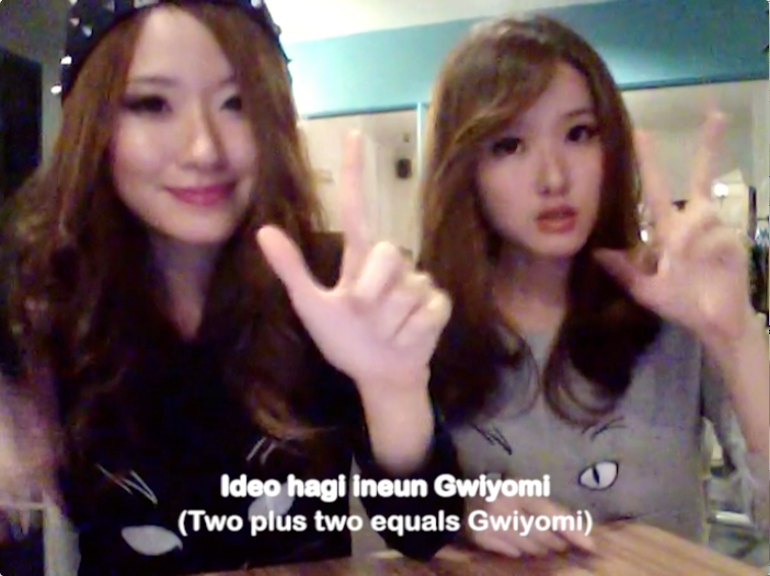 Yukdeo hagi yugeun chu chu chu chu chu Gwiyomi, nan Gwiyomi! 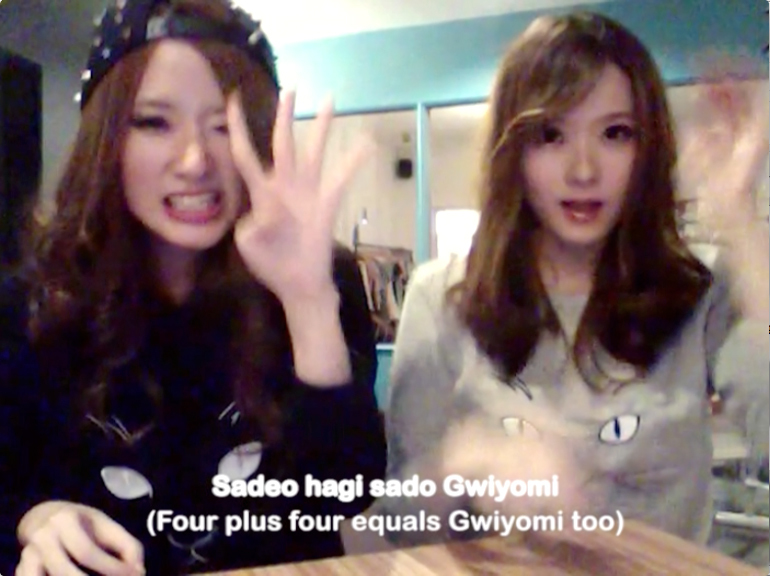 Six plus six equals chu chu chu chu chu Gwiyomi, I’m Gwiyomi! We had lots of fun filming this video (and watching it over and over again. Narcissistic enough? Lol). Recording session, which didn’t take long, took place at Twig Cafe – Pantai Indah Kapuk (PIK). Try their Ghirardelli Iced Chocolate when you get the chance to visit this cute place, it’s to die for! both of you are moree cuter than the real singer cii! you both look so cute even cuter than the real singer one!